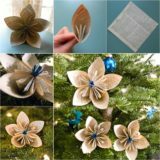 When it comes to making home décor, there are plenty of things you can make yourself that will really contribute to the aesthetic of your home. 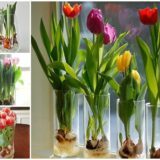 There aren’t quite so many, however, that will actually help you set a beautiful and relaxing atmosphere. One of the few things that can help you do that, and that you can actually make for yourself from start to finish, is a candle! 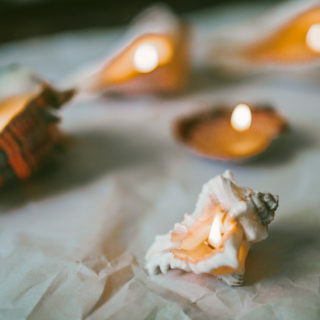 Sure, there are plenty of beautiful (and great smelling) candles that you can buy at the store to help give your home a lovely glow, but there’s just something so satisfying about making things yourself. 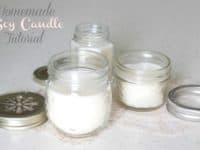 Are you also interested in making lovely candles of your own but you’re strapped for design ideas or you feel like you could use some guidance? 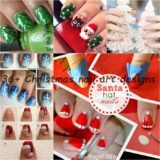 Then check out these 15 awesome DIY and homemade candle design tutorials that will help you make all kinds of custom candles of your own. 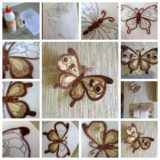 Are you the kind of crafting enthusiast who loves to turn just about any project you do into an upcycling opportunity at any chance? In that case, start saving the bottle caps from your soda and beer bottles whenever you can! 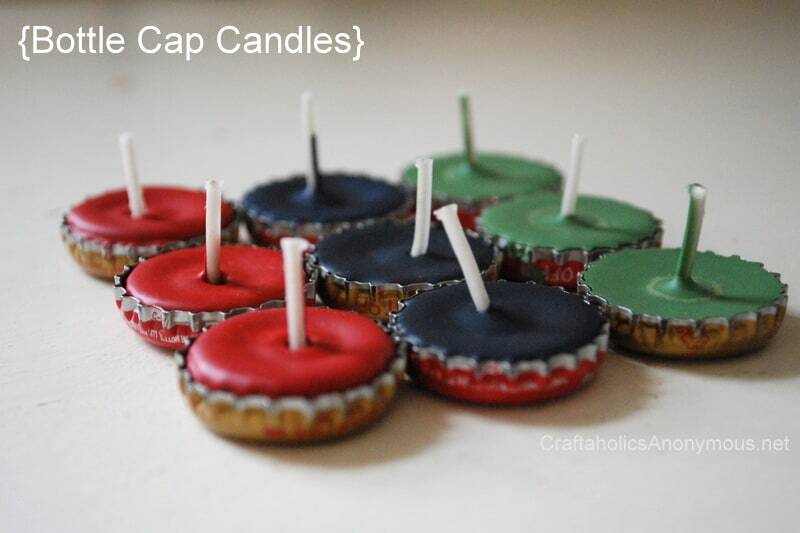 Besides showing you how to make these adorable little bottle cap candles, this tutorial from Craftaholics Anonymous will also show you how to make the candles in different colours of wax. 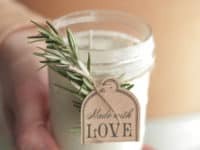 Making a candle that looks great is always an awesome thing, but what if you’re actually making a gift for someone who’s a little more sensory? Well, we make candles quite often and we can definitely tell you that lavender is one of our very favourite scents to work with. Besides the plain fact that it smells great, we love working with lavender because the scent is proven to have anxiety reduction effects, making things like lavender candles very calming. 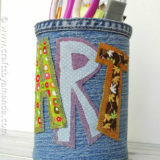 That’s why we love this tutorial from Shealynn Benner! Talk about setting the atmosphere. 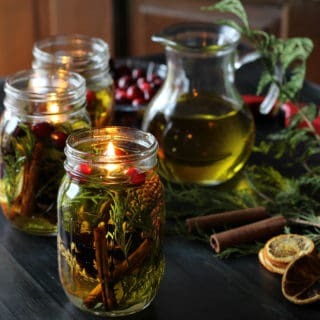 Have big scented candles always reminded you of the holidays and put you in the mood for things like carol singing? In that case, we think we might have found the perfect candle recipe for you! 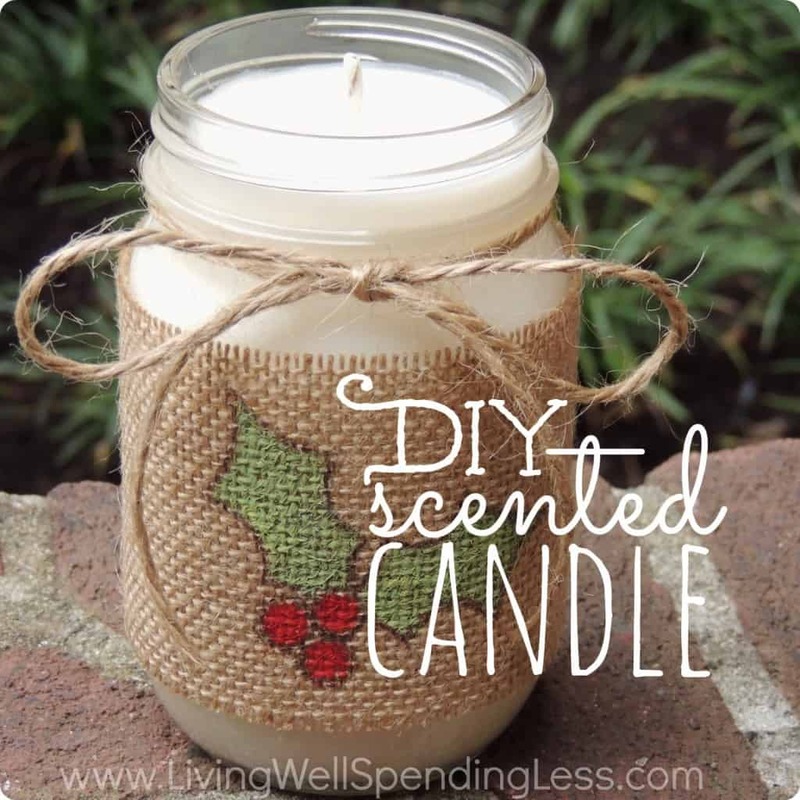 Living Well, Spending Less shows you step by step how to make a candle that somehow manages to smell just like the holidays. You know the smell; somewhere right between cinnamon and the smell of fir trees! Are you actually intrigued by both of the ideas we just showed you above this but you’re having trouble deciding between them? Well, who says you have to pick just one? 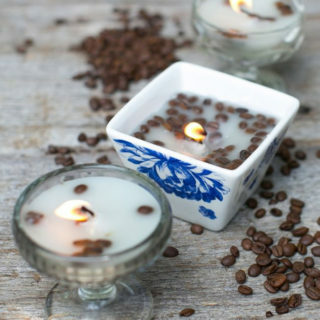 We love the idea of combining scents in order to make candles that smell just as great as they look, if not better! 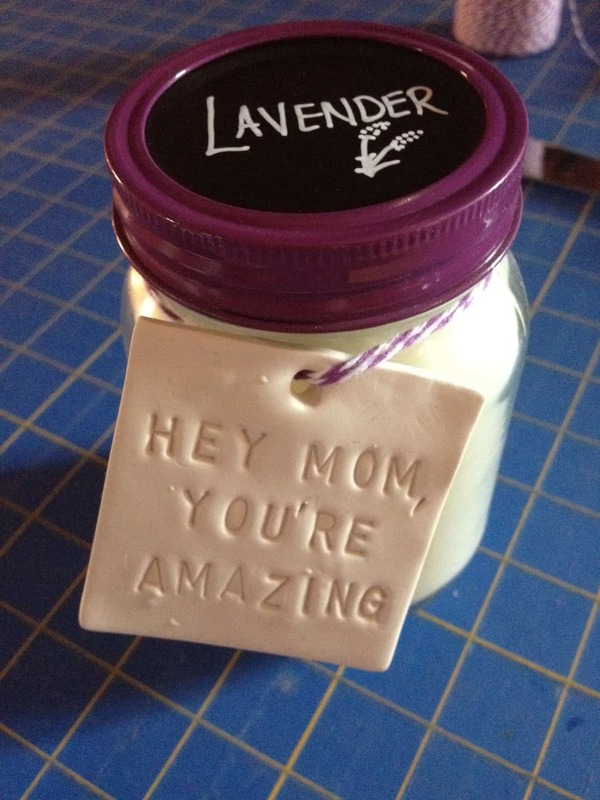 That’s why we’ve made this lavender rosemary scented candle so many times. 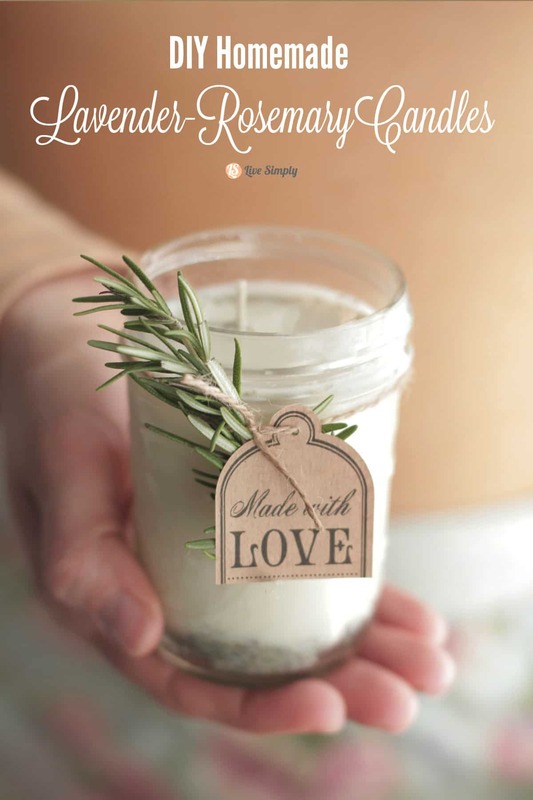 We know that the smell of rosemary isn’t precisely what Christmas smells like, but when you combine it like Live Simply did here, it’s pretty close and more than pleasant! 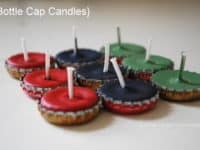 Regardless of what your candle smells like, are you intent no making it look great, but you also want it to be a project that your kids can help you with? 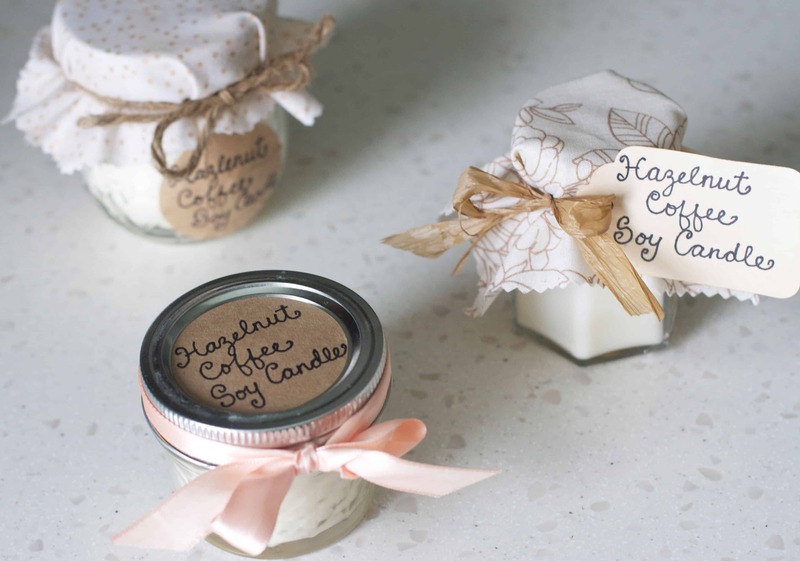 In that case, we think perhaps these drawing transfer candles might be the perfect idea for you! 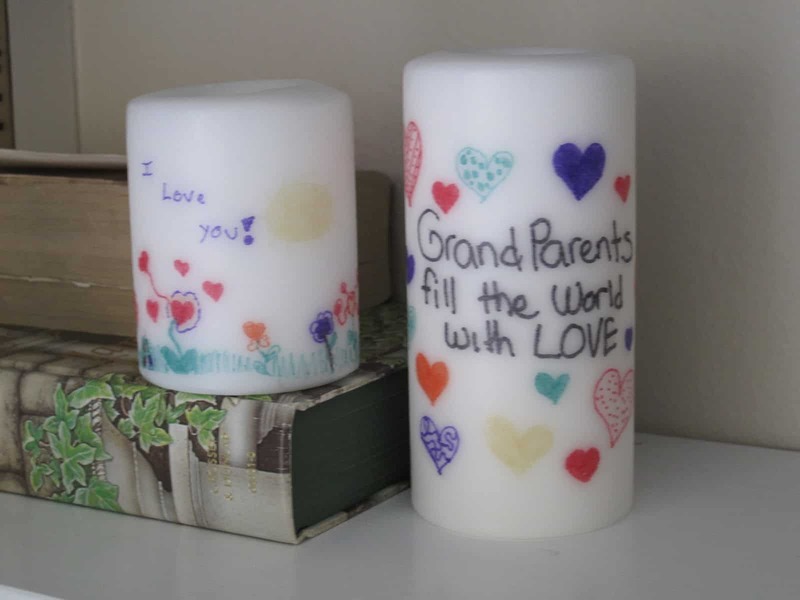 DIY Crafts to Make guides you through the process of making lovely drawings with markers on wax paper and printing them onto the sides of white candles. 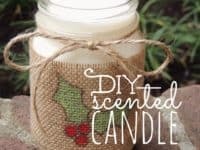 You could use pre-made candles from the store or ones you actually make from scratch yourself! 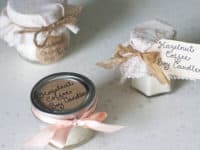 Rather than making towering white candles or candles that fill up mason jars, would you rather create small ones in all kinds of different fun shapes? 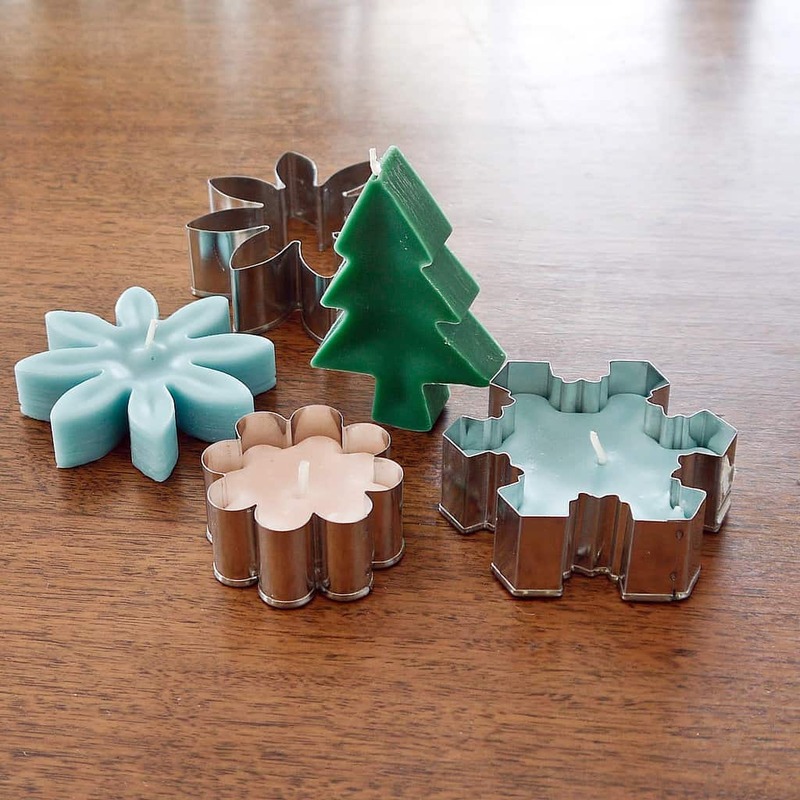 Then perhaps you should consider using cookie cutters to get the shapes you want! 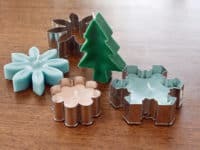 Popsugar shows you how to make candles using cookie cutters in Christmas shapes, but you could use the same fundamental techniques to make them in any shape you please. 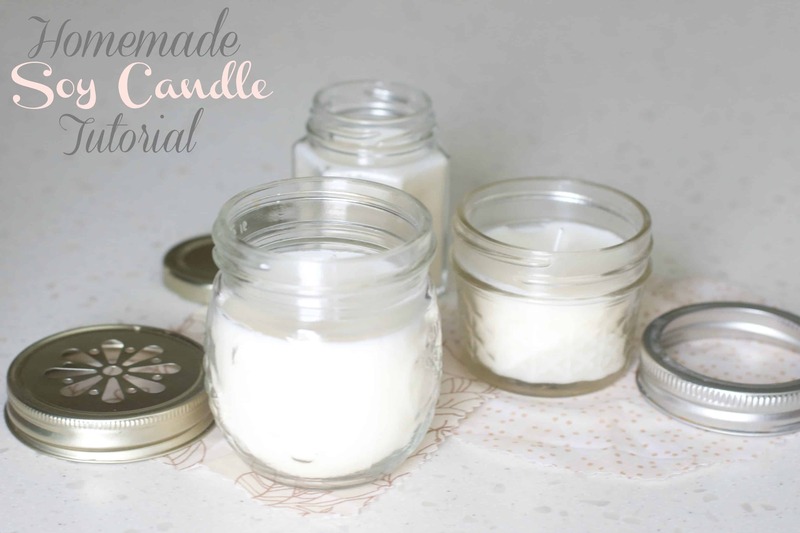 Are you still thinking about different ways of candle making that might help you upcycle something, but this time you’d rather make it something vintage looking and pretty? In that case, you should definitely check out how I Heart Naptime created a fancy looking candle in a thrifted crystal goblet. 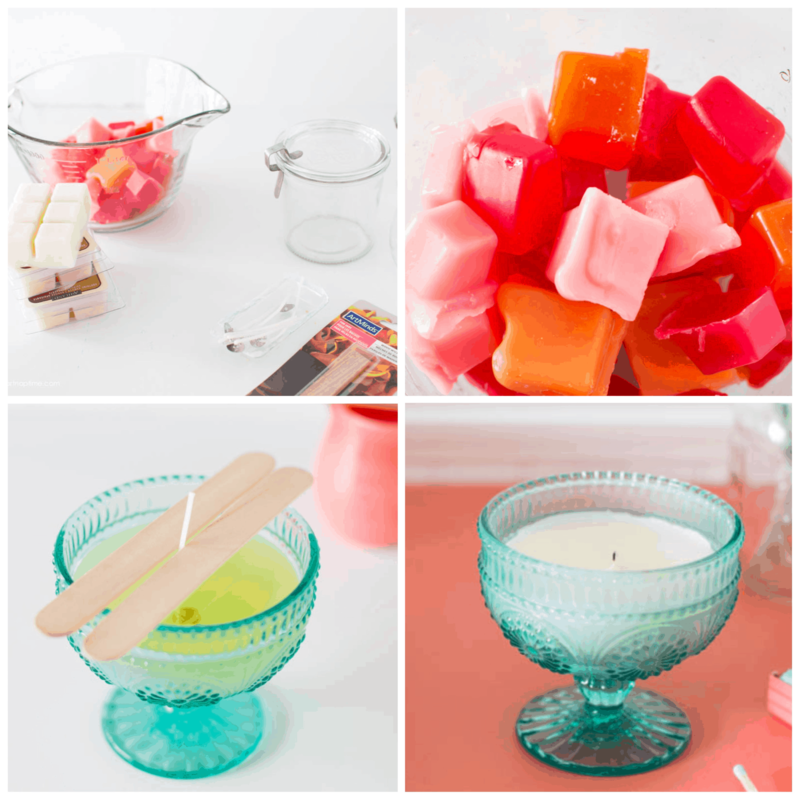 You might use a coloured glass with white wax like you see here, or flip the idea and use a clear glass but colour your wax. 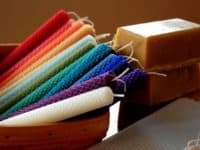 Would you prefer to make candles that are completely organic and vegan, rather than using bees wax? Then perhaps you’d prefer to create a candle that’s made from a soy base instead! 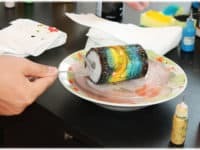 This might sound challenging since it’s not the recipe that most candle making tutorials you’ll come across follows, but we can assure you that it’s not too much of a challenge. Get the full details from The Baker Chick. 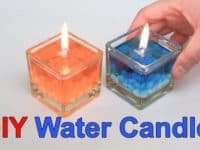 While there are certainly homemade candles that can float on top of water (and they’re actually not all that hard to make, believe it or not), those aren’t the type DIY Bama means when they talk about water candles! 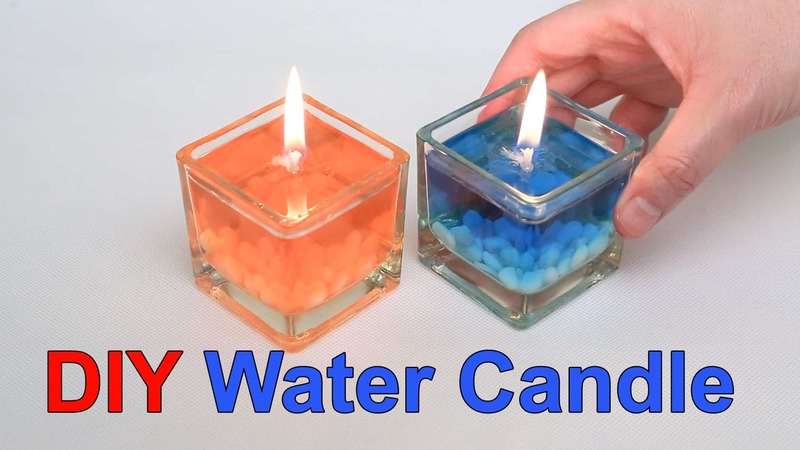 Instead, they guide you step by step through the process of making gel candles that simply look like a little glass holding coloured water or liquid. Were you very intrigued by the idea of making a candle inside a thrifted, second hand, or vintage dish but you’re just not sure the crystal style goblet or glasses are quite a reflection of your personal style? Then perhaps you’d prefer something a little more old fashioned looking! 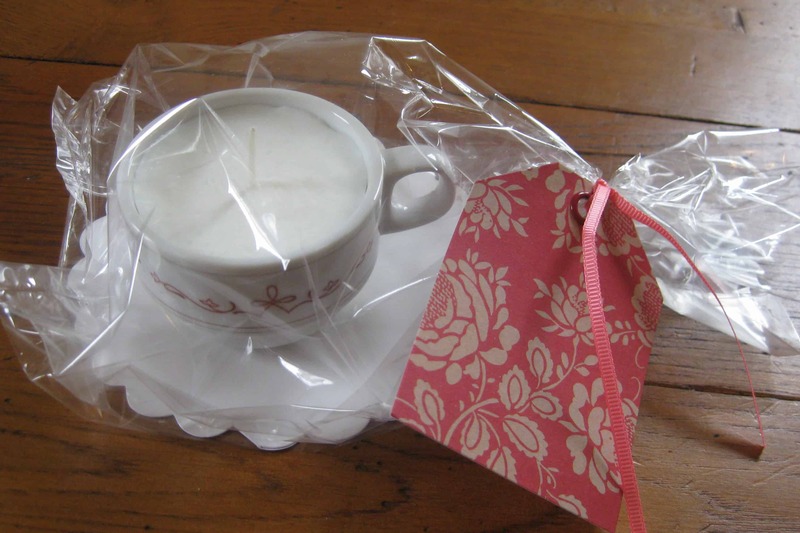 We can’t get enough of the way Dagmar’s Home made this homemade candle inside an old teacup. 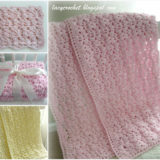 In fact, we like this idea so much that we’ve made these as gifts before! Would you rather make yourself a candle that reminds you of your absolute favourite place in the whole world? 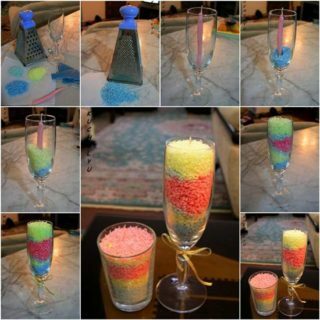 Then you’re going to want to take a look at the simple but super fun way Candle Tech made these sand castle candles, complete with some actual sand for detail and authenticity! Grab that tiny sand castle mould from your beach set that your kids don’t often use because it’s so small and put it to good use making DIY home décor. 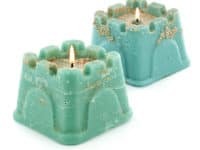 We’ve show you lots of candles so far, most of them plain, but we have shown you at least a few coloured candle ideas as well. 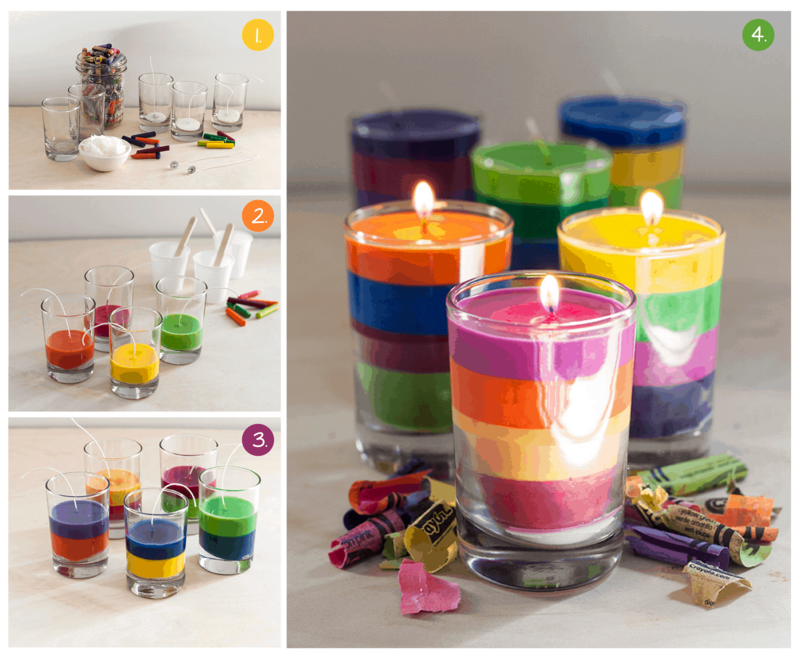 None of them, however, were quite so colourful as these awesome striped candles from Adventures in Making! 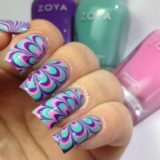 The idea of making so many colours might seem intimidating at first, but we don’t think you’ll have and troubles the second you learn about how this tutorial actually uses melted crayons and a careful layering technique to make each stripe. 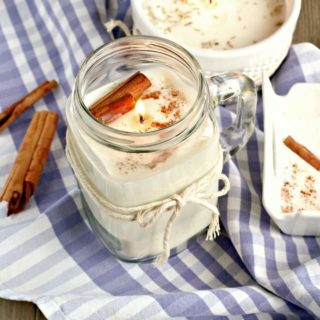 Are you still thinking about the soy candle idea we showed you earlier because you really like that the recipe was vegan but you’d also still like to make a candle with a delicious scent, rather than just creating a plain one? 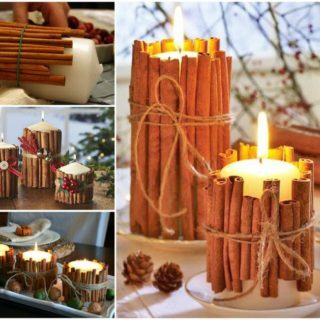 Sure, you can dress the candle up in some pretty presentation, but it still won’t be as fantastic as it could be if it doesn’t smell like anything! 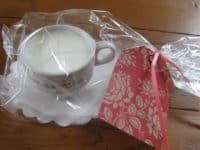 That’s why we wanted to make sure you saw this hazelnut coffee scented version of the soy candles, also by The Baker Chick. 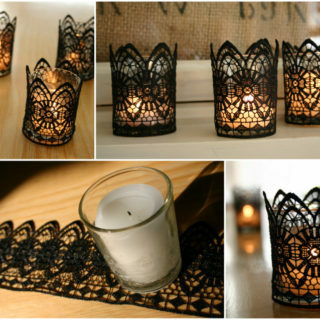 In your opinion, are candles an absolute work of art? Then why not make a candle that actually lets you create some custom art of your own right there on its surface? 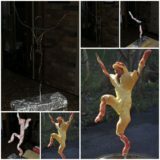 There are many different ways you can decorate the outside of a candle, but one of the most beautiful looking techniques we’ve ever tried is this water marbling idea from D. Light Handmade. 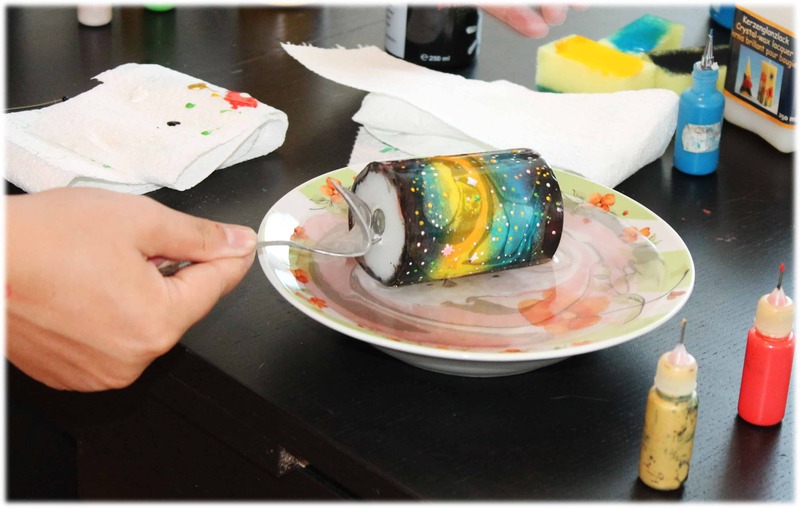 They show you how to carefully layer all surface paints lightly on top of water so that you can swirl them onto the sides of your candle in creative ways. 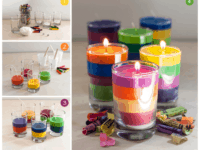 Even though you might appreciate all of the different creative candle techniques we’ve shown you so far, would you rather go back to basics and make yourself some candles that are probably one of the first basic designs you ever tried, back when you were a kid? 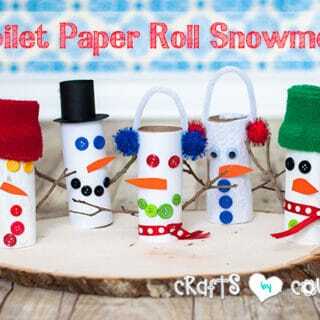 Well, we think that’s a great idea because that means that your own kids can help you make the same thing now! 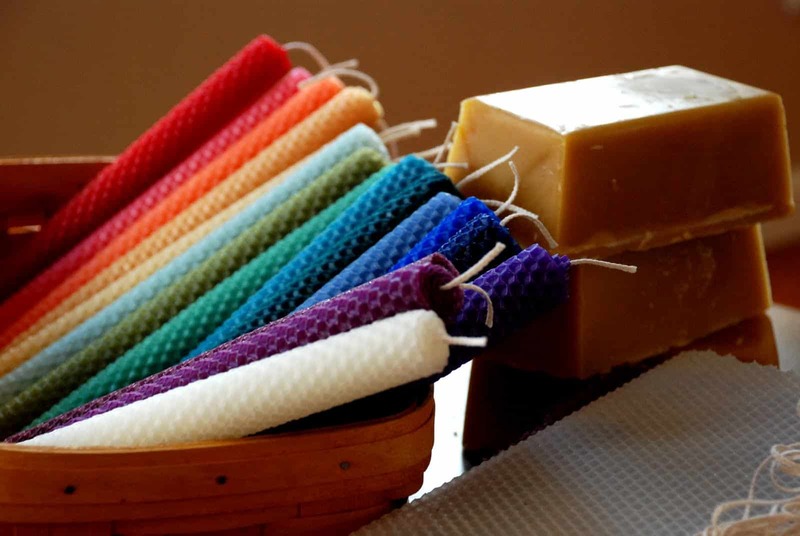 Homemade Serenity reminds you how easy the steps for making these awesomely textured rolled beeswax candles are.